In terms of energy sources, solar energy is one of the cleanest, safest, most sustainable ways to obtain power. And the market is responding- in America alone, the solar market grew 76 percent in 2012, and has only continued to grow. In terms of energy sources, solar energy is one of the cleanest, safest, most sustainable ways to obtain power. And the market is responding- in America alone, the solar market grew 76 percent in 2012, and has only continued to grow. This is widely due to the implementation and accessibility of solar power- for households, businesses, farms- even wineries. That’s right- Yonah Mountain Vineyards is launching a total solar panel array to power the grounds and operation. This initiative will bring a slew of benefits for our Georgia winery, which we’ll delve into below. 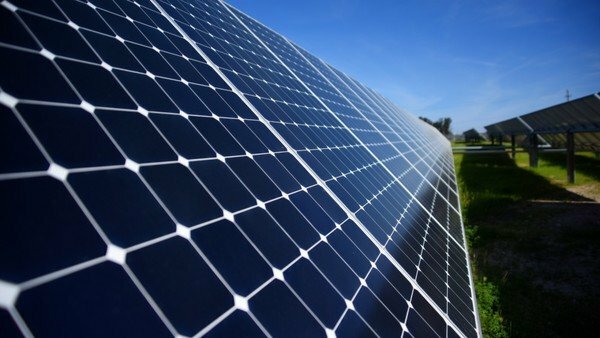 Yonah Mountain Vineyards is the first winery in Georgia to install solar panels, in an attempt to counter our carbon footprint. The process of installing and implementing a solar system for all of a winery's daily needs is extensive and multi-phasic. Yonah Mountain Vineyards will soon be launching phase one of the solar initiative, and will begin phase 2 soon thereafter. Phase 2 entails the implementation and usage of solar batteries. Solar batteries will allow Yonah Mountain Vineyards to store extraneous solar energy obtained during the day. The solar battery will then allow our vineyards to utilize that extra energy whenever, day or night. Without the solar battery, Yonah Mountain Vineyards would have to purchase energy from the grid, especially once the sun has gone down. However, once completely installed, the solar system will be a great source of energy for the entire winery and operations. This switch to a completely solar power system will prove beneficial in a number of ways, especially where the environment is concerned. The environmental effects that the solar system can generate help to combat a culture of rampant carbon dioxide emissions. Our solar system will help save water, eliminate carbon dioxide, and generally allow for a healthier planet. It's important that you feel good about the wine you drink- and its origins. A solar panel system, whether it be a part of your abode, or your business, can go a long way to lower the country’s carbon footprint. In fact, our solar system will eliminate 3,080 tons of carbon dioxide in its life. That’s a lot of carbon dioxide. Furthermore, using solar systems helps to create American energy independence as well. In the last few years, the US has relied on net imports for about 40 percent of the petroleum products that were consumed. However, installing solar systems can drastically help reduce America’s dependence on foreign energy. Solar is a step in the right direction- to create our own energy that is safe, sustainable and good for the environment. We are hopeful that by being the first winery ever to fully implement solar power, we will serve as an industry standard for others. Solar systems are truly a win-win, in that they are great for the customer too. Solar panels provide a reliability that alleviates any volatility in market electricity that more standard energy sources are subjected to. This means that the company can focus on the products they create, and prices won’t rise due to energy shortage. Furthermore, sun-powered products prove a sustainability and commitment to the environment that can be a pleasure to support. Yonah Mountain Vineyards will launch its solar panel initiative in the next few months. If you are interested in wine powered by the sun, fun winery events, our wine tastings, or our wine cave, you may wish to check out our vineyards in north Georgia, or visit our site. Yonah Mountain Vineyards is truly one of a kind- offering the only wine cave anywhere, and being the first winery to install solar panels to help combat our carbon footprint.